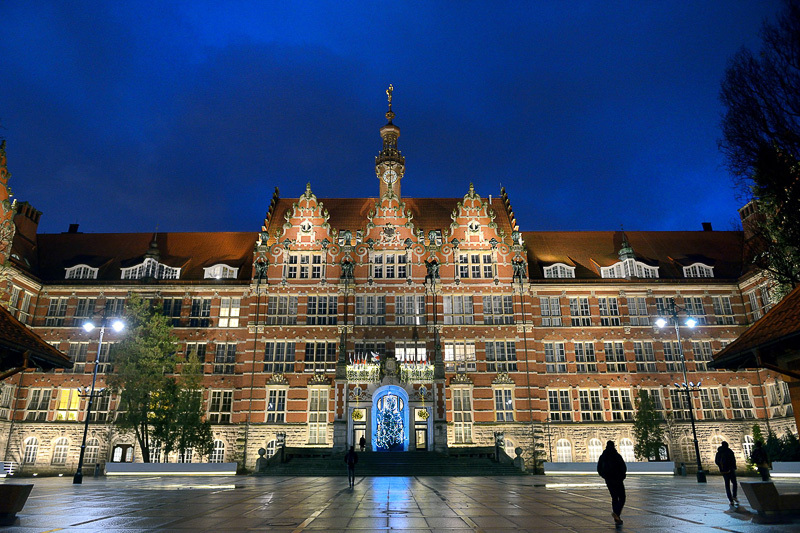 The Gdańsk University of Technology, which is among the ten most beautiful universities in Europe, illuminates Siled LED luminaires. British internet portal The Times Higher Education, announced the ranking of the most beautiful universities in Europe. The Gdańsk University of Technology was on the sixth place in the list. The building in the Dutch neo-Renaissance style was created at the beginning of the 20th century by the German architect Albert Carsten. The Art Nouveau, richly decorated façade of the building is emphasized by numerous ornaments, and around the campus there are many symbols and statues, including owls and a lion holding the coat of arms of Gdańsk. Siled has as a small share in this success because its LED luminaires and their control system display the beauty of the place. – Adequate, high quality and well-designed lighting adds prestige to every place, emphasizing its values and beauty. We are glad that our lighting helped to display the magnificent architecture of the University of Technology campus – says Radosław Mioduski, the president of Siled.